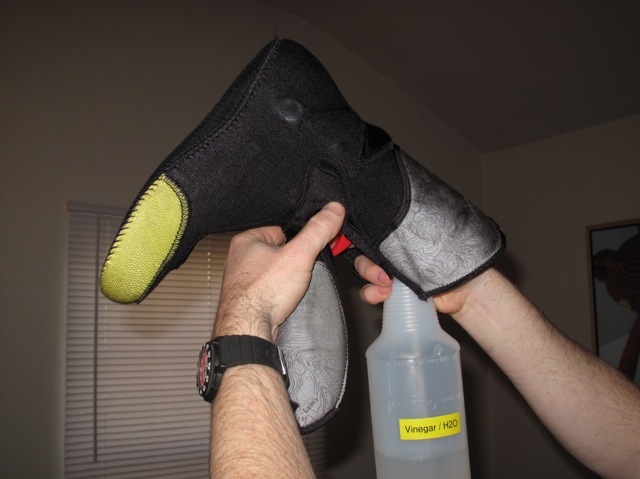 A few years ago I write about a good solution to Boot Stink management. This was an approach I had been using for years, but my son recently advised me of a far superior solution that he has used with great success on his hockey gear and bag (there is nothing nastier than a ripe hockey bag…). 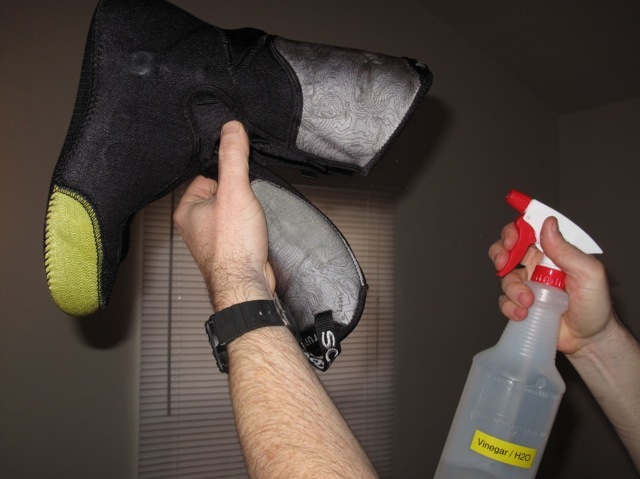 Turns out the cause of Boot Stink is bacteria growing in our boots and alcohol, by killing the bacteria, eliminates the stink! 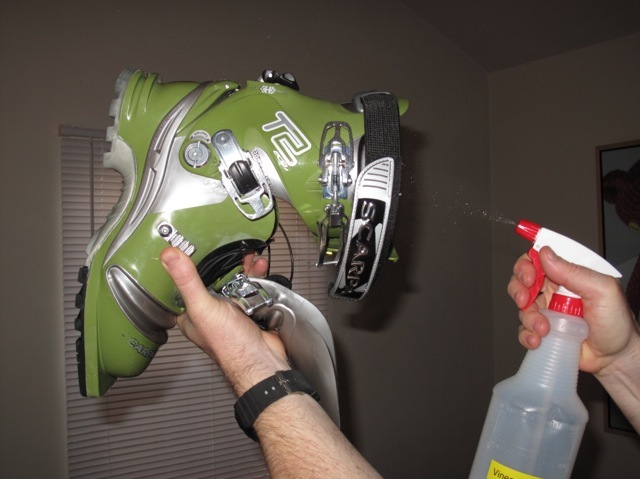 Now you have an undeniable excuse to pack a small spray bottle filled with your favorite booze in your pack on each backcountry ski or mountaineering trip. 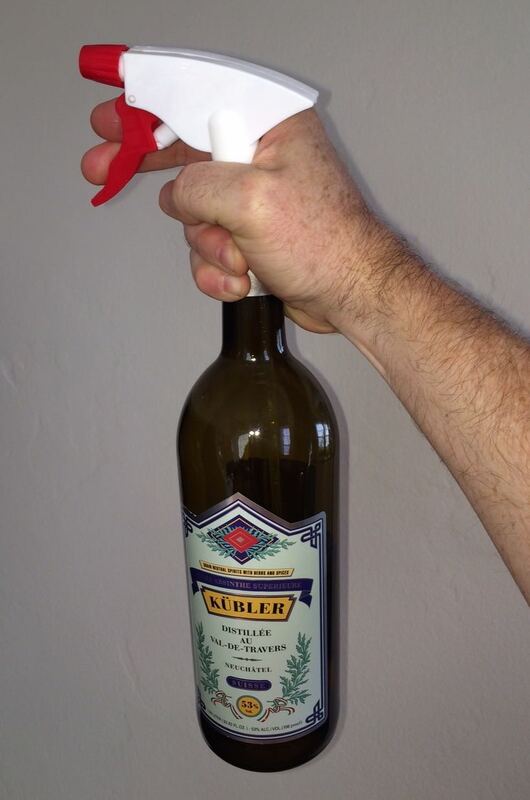 Your companions will thank you and if the spray does not work, well just drink! Do I have to use Vodka? 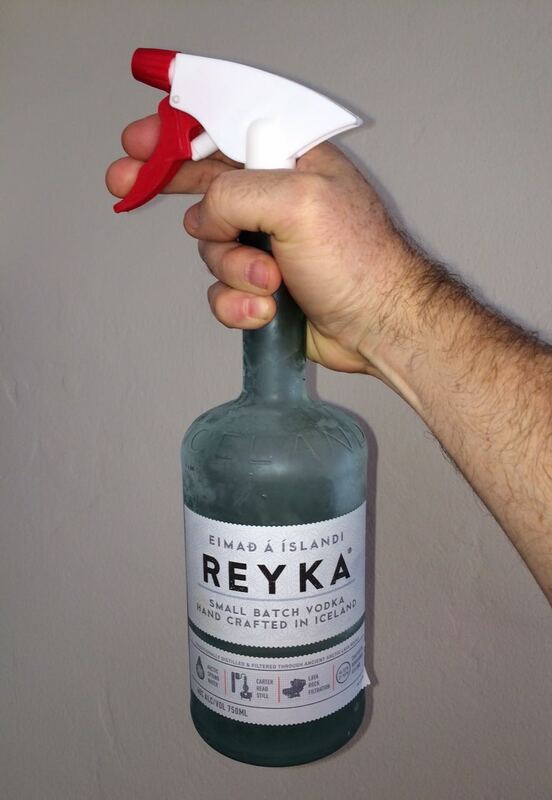 Nordcipatroller has been experimenting with Absinthe, Gin Tequila and Whiskey. All work equally as well as Vodka, but they also have an added advantage with the inclusion of a pleasant scent to your most valuable backcountry tools. 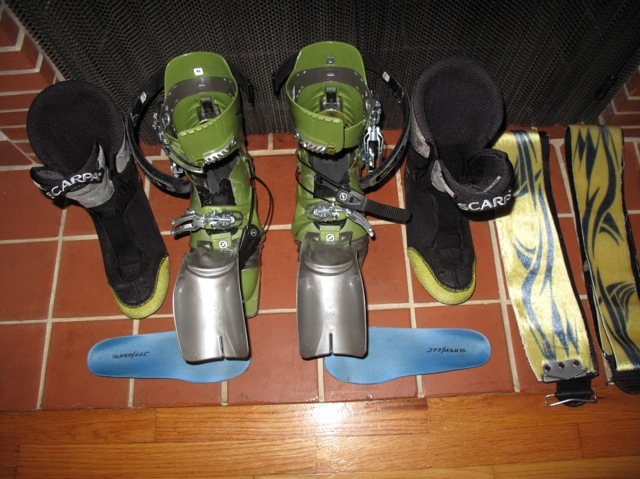 After a day, weekend or multi-day trip in the backcountry, ski boots tend to develop a certain funk. If not tended to regularly this funk can evolve into a toxic situation that will result in not being invited on future trips or no one wanting to join you on your trips. Luckily there is a cheap and easy solution. Next, repeat the same process with you liners (first remove the inserts). Spray both the top and bottoms of your inserts and set all items out to dry for 48 hours. With just a few minutes, you can ensure future trips without the funk and your gear just may last longer. 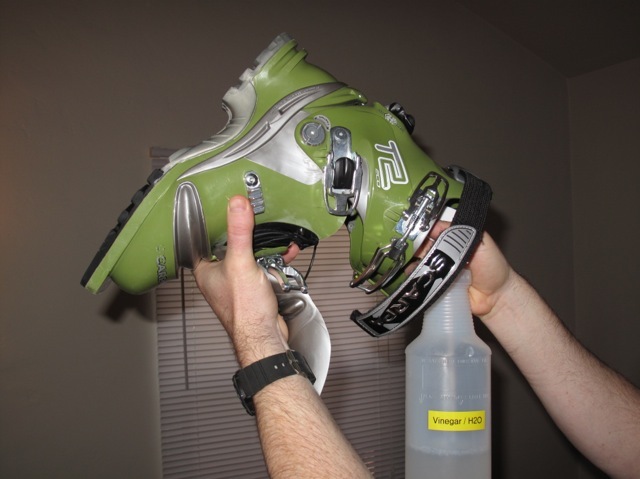 This process is also an ideal time to inspect your boots for wear and damage. The shells should be cleaned and towel dried before spraying the vinegar/water solution. If you wear your liners around camp without the shells be sure to brush of any dirt accumulation.